Want a luxury mattress developed by an aerospace engineer? Purple mattress, a foam mattress, is great for people with back, joint or shoulder pain. Read our full Purple bed mattress review to learn if this is the right bed for you. Purple states that it revolutionized sleep for the first time in decades. The mattress is a result of 20 years of research by two brothers, Tony and Terry Pearce. Tony, an aerospace engineer and Terry, an expert in materials and manufacturing, first started by creating cushioning technologies used to make wheelchairs, shoes and medical devices more comfortable. Later, they decided to turn their energies to the business of sleep, inventing what they considered the best mattress technology in the world. They named it Hyper Elastic Polymer. From there, Purple was born. The Purple mattress is designed to alleviate joint and shoulder pain and is perfect for those with bad backs or other body aches. Its Purple Smart Comfort Grid adapts to your pressure points by adapting to your body shape. The temperature neutral, open grid design allows for airflow, ensuring you don’t become overheated in your sleep. This mattress geared towards every type of sleep positions, whether you’re a back, side or stomach sleeper. Do you share a bed with your significant other? You’ll love Purple’s isolation system. Thanks to its design, Purple technology is able to isolate and reduce motion from one sleeper to the other, especially for heavy people. If one person is a restless sleeper, the other person in the bed won’t be bothered. Some Purple mattress reviews talk about how this motion isolation has helped their sleep. 10 years warranty: Purple stands behind its product. The company guarantees its mattresses will last for a minimum of ten years. If you have any problems within the first ten years of owning your Purple mattress, Purple will either replace or repair your mattress. 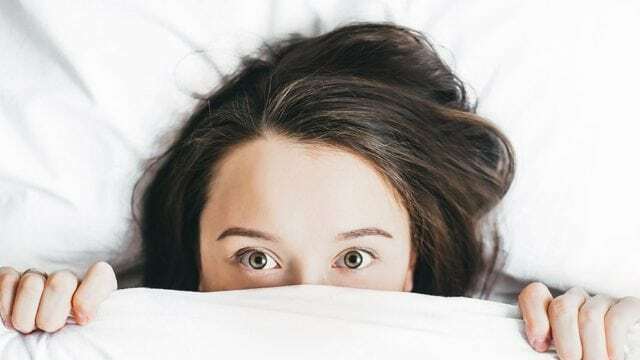 100 nights sleep trial period: Buying a mattress online can be scary. What if you don’t like it? Purple understands this common concern, so the company offers a 100 nights trial period. You can try the mattress for 100 nights, and if you decide you don’t like the mattress, you can send it back free of charge. 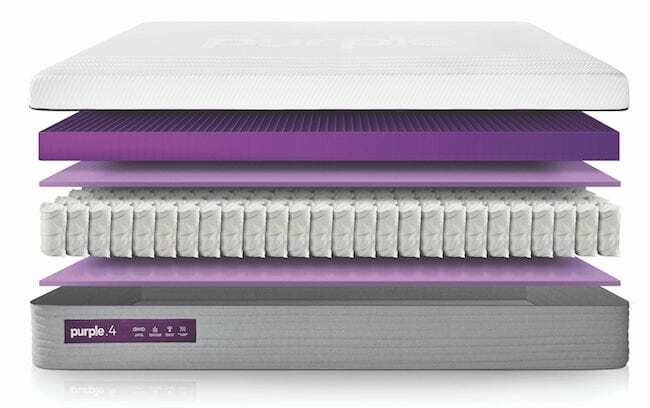 Cooling system: Purple’s open grid design acts as a cooling system, allowing for maximum airflow to prevent you from overheating while you sleep. Free shipping: A Purple mattress ships for free. You’re already investing a lot of money in the mattress itself, so it’s nice not to have the added cost of shipping. Joint pain and back pain relief: Purple mattress offers firm and contoured support. It hugs your body and reduces the pressure on your joints. Therefore, this is the ideal mattress for those suffering from bad backs or joint pain. Many Purple mattress reviews talk about how this mattress can relieve pain for back sleepers. Mattress options: Purple perfected the mattress with its original mattress (appropriately named The Original Purple mattress) and then did it again when it launched The All New Purple mattress, a hybrid mattress. 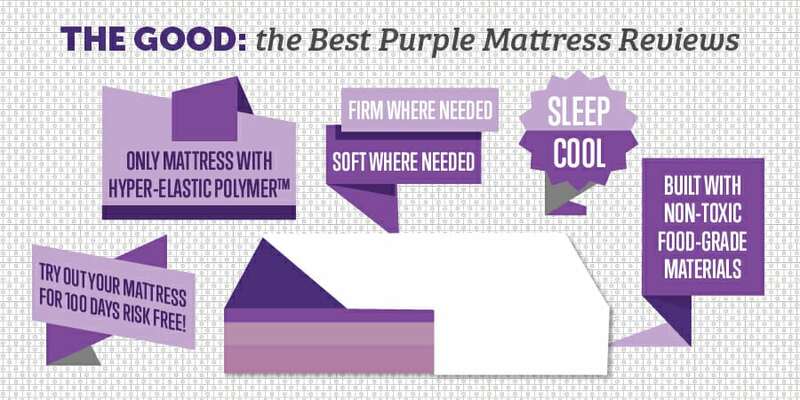 Whether you prefer a hybrid mattress or a memory foam mattress, Purple has you covered. Motion isolation: Do you sleep with someone who tosses and turns and keeps you awake throughout the night? Purple can help. The composition of a Purple mattress helps to isolates motion from one sleeper to another. Limited sizing: Purple does not offer a twin mattress. If having a twin mattress is important to you, you need to choose a different company. However, Purple does offer a Twin XL, so you can choose a slightly bigger bed if you’d like. You’ll also need a bigger bed frame. Price: The Original Purple mattress is competitive in terms of price, but The New Purple Mattress is more expensive than some of the mattresses on the market. This can be prohibitive for some people, even if they like what Purple mattress reviews have to say. Trial period: Purple’s 100 nights trial period is great, but it is shorter than some competitors who offer a 365-day trial period. We feel 100 nights trial is enough to determine whether or not you will like your new mattress, but if you disagree, then perhaps the Purple mattress isn’t the best mattress for you. Warranty: Similar to the 100 nights trial period , Purple’s 10 years warranty is shorter than some competitors. If having a long warranty on a mattress is important to you, check out other mattress companies instead. The Purple Mattress is designed with ultra high-quality materials and engineered for durability, luxury and pain relief. It comes in two versions, The Original Purple and The New Purple. Comfort Core Top Layer: This layer is made of Hyper Elastic Polymer grid and polyurethane memory foam. Breathable Stretch Cover Color: The fabric is made of 67% polyester, 29% Viscose and 4% Lycra. The non-slip bottom is 100% polyester with a fire retardant coating. A Purple mattress is specially engineered for total pressure relief and unwavering support. The grid technology is engineered to cradle your hips and shoulders while simultaneously giving your body the support it needs. Paired with dynamic, specially designed fabric-encased coils, it offers the utmost in comfort. 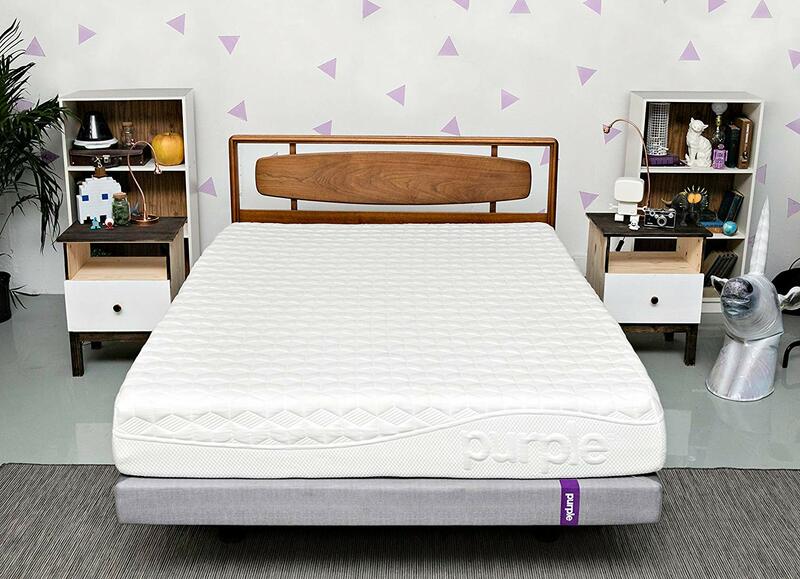 The Original Purple mattress is built with a 2-inch layer of the Smart Comfort Grid atop two top quality polyurethane memory foam comfort bases. This is the firmest of the mattresses. The New Purple Mattress gives you the option of a Smart Comfort Grid size: two, three or four inches. The grid is placed over Purple’s deluxe Responsive Support Coils, which are designed to work in conjunction with the Smart Comfort Grid for enhanced pressure relief and spinal alignment. There are multiple positive Purple mattress reviews for both options. As previously mentioned in our Purple mattress review, these mattress come in two versions: The Original and The All New. The Original comes in five mattress sizes and starts at $699. The All New Purple Mattress comes in five mattress sizes and starts at $1,299. The mattress sizes are the same as the Original Purple. It’s customizable smart comfort grid comes in two, three or four inches. The higher the grid, the less firm the mattress. Twin XL Mattress: Purple skipped the basic twin and went right to the twin XL. It measures 38 in x 80 in x 9.5 in. 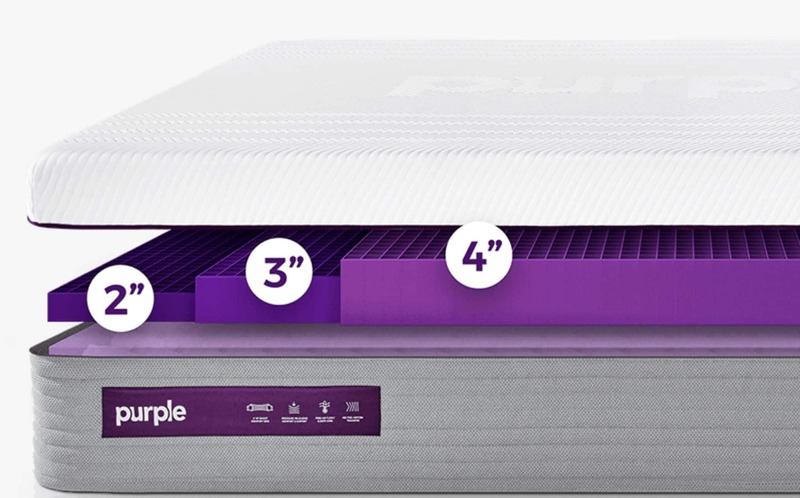 Full Mattress: Purple’s Original full mattress measures 54 in x 76 in x 9.5 in. Queen Mattress: Purple’s queen measures 60in x 80 in x 9.5 in. King Mattress: Purple’s king size mattress measures 76 in x 80 in x 9.5 in. California King Mattress The largest of Purple’s mattress is the California king, which measures 72 in x 84 in x 9.5 in. Purple offers complimentary in-home setup and delivery. Simply order a new mattress, check the website for the allotted delivery time and Purple will come set up your new mattress for you! Plus, the company will take and dispose of your old mattress. Purple understands that mattresses are expensive. Thus, if you don’t want to pay for your mattress upfront (or deal with high APR rates from your existing credit card), Purple has an alternative. Purple has partnered with credit card alternative Affirm, which will allow you to pay off your Purple mattress with monthly payments. This option involves low rates and no hidden fees, so you can know exactly what you’re paying for your new mattress. Purple mattress offers a 10 years warranty that guarantees the construction, materials, quality and durability of its mattress for the original purchaser. You can get this warranty if you bought the best new in the USA by Purple or an authorized reseller. Worried you won’t like the Purple mattress? Try it out for 100 nights and if you don’t like it, send it back! 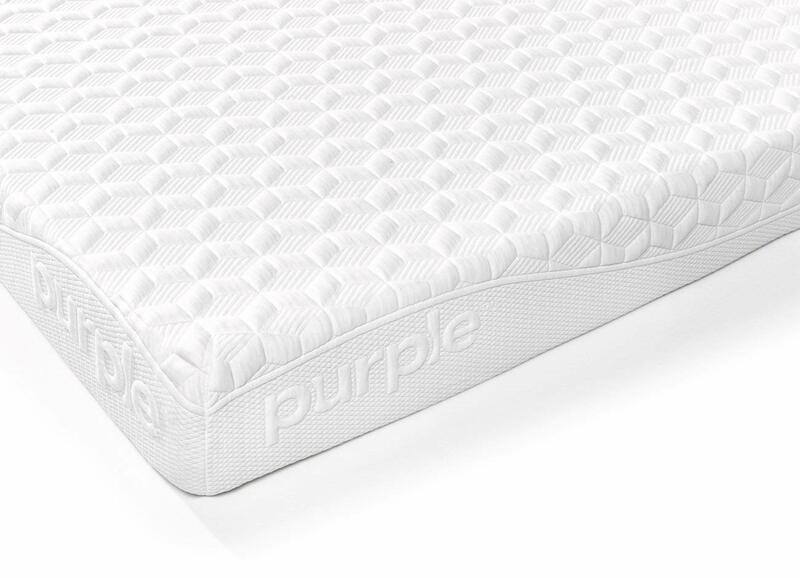 Purple is confident that you’ll love its mattress, so the company offers a 100 nights sleep trial period. This means that within 100 calendar days, you can send the mattress back and receive a full refund. Purple recommends trying it for at least 30 days to let your body adjust. However, if after that time you’re still unhappy, simply contact Purple’s customer support team and they will help you return it. Returns are only available for a Purple mattress purchased directly through Purple. Amazon orders must be returned directly to Amazon. After our Purple mattress review, we give Purple mattress a 4.5 out of 5. As the mattress is designed to alleviate joint pain, it’s more niche than some of the other brands out there and can take longer to get used to. Thus, it’s not as good an “all around mattress” as some of the others. That being said, this mattress may do wonders for you if you have back, joint, shoulder or neck pain. If you’re interested in learning more about this mattress, check out their website. Have you tried the Purple mattress? Leave your own Purple mattress review below.